Great Rates on Full & Half-Day Yacht Charters in the USVI or BVI! 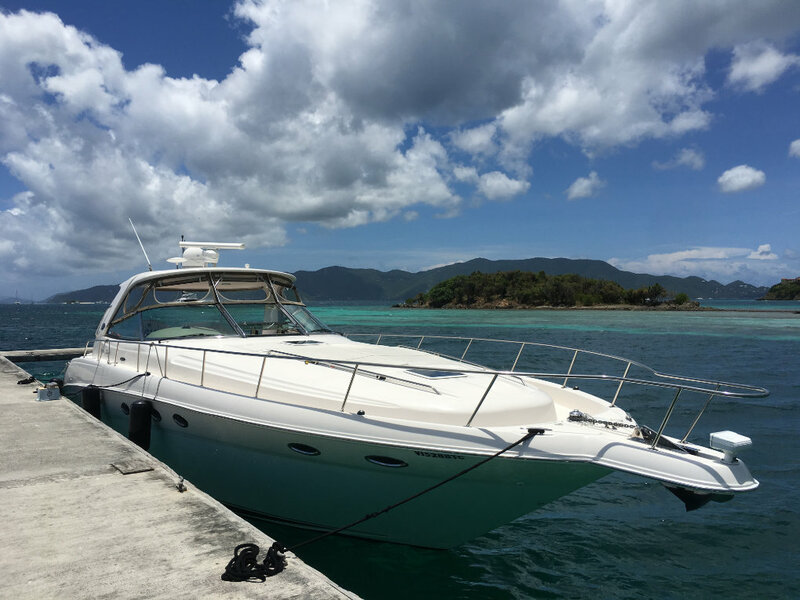 From the US Virgin Islands to the BVI, Take It Easy Custom Charters will make your experience memorable. Our yachts and crew are amazing – hands down. We tailor to your needs to create moments you’ll never forget. We believe in our commitment to showing you the best destinations of the Virgin Islands! Private charter means you hire one of our yachts, US Coast Guard Certified Captain and crew for a fabulous day. 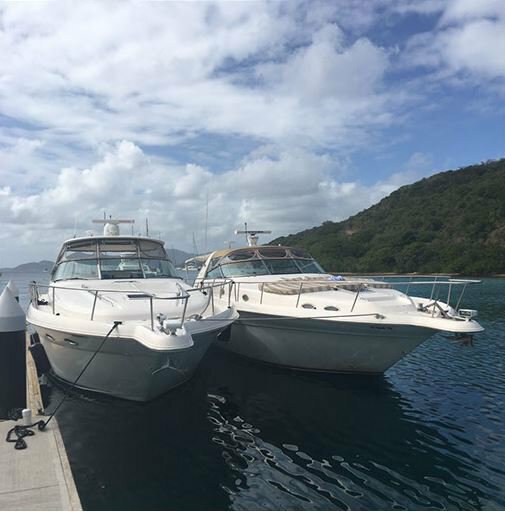 Our Sea Ray Express Cruisers, the 50’ LOA Take It Easy or the 52’ LOA Take It Easy 2, can easily accommodate up to 12 passengers each. See the islands like a celebrity! 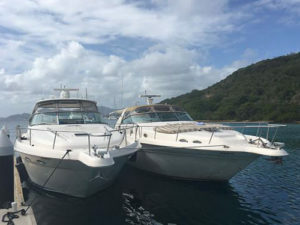 Step aboard Take It Easy Custom Charters for a personalized Virgin Islands tour on one of our luxury yachts. You choose the destination and the length of the cruise. Our yachts can be chartered for extended private tours of the Caribbean for "sunsets" or overnight stays. Contact us for potential travel itinerary ideas and special pricing. *Additional guests (7 - 12) $50/person; kids under 4 years of age free. + Fuel - Average fuel costs range between $200 - $450 depending on the length of the trip. $55/Person BVI fees. Please note that gov't BVI fees may be higher on the day of your charter. + Fuel - Average fuel costs range between $100 - $300 depending on the length of the trip. + $55/Person BVI fees. Please note that gov't BVI fees may be higher on the day of your charter. We provide ALL snorkel gear (i.e. masks, snorkels, fins, vests and noodles) and fresh water rinses for up to 12 passengers. We also provide a cooler with ice, beer, a small bar of rum/vodka, juices, sodas, snacks (chips/salsa) for groups up to 12 passengers. For morning departures, we provide fresh fruit and muffins. You are welcome to bring your own food and drinks. To get the most fun out of your Caribbean excursion, be sure you check out what to bring on your amazing USVI and BVI charter cruise. Have an incredible day cruising one of our pure lavish yachts – the 50’ LOA Take It Easy or the 52’ LOA Take It Easy 2.